Although we always try to be fair to clients, we have set these simple terms and conditions below to protect us as a business we ask you to respect them whilst using services provided by Window Washers. 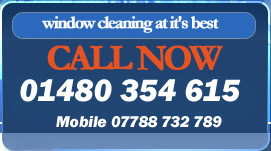 All Window Cleaning is on a 4 to 6 weekly basis or twice this unless a one off clean price is charged. All window cleaning services are weather permitting we do clean in the rain where possible to continue a regular service to all clients. We do not work in very strong winds, as this would be unsafe for us. If you wish to cancel your window cleaning with us we require that you do this within 14 days of your last clean in writing we will give you a reference number for the cancelation of service. All window cleaners are trained to work safely, please do not ask them to do anything that is unsafe. Physical and/or verbal abuse will not be tolerated against any of our operatives or customers for any reason, if this happens window cleaning will be stopped with immediate affect, monies for the clean will still be owed. All cleaners have the right to do their job without the above: we will always report abuse of any kind to the police. We will collect payment if possible once cleaned, but please remember it is your responsibility to make payments on time and within the times stated below. We accept cheques, postal orders, bank transfer, and credit card payments. Invoices must be Paid, within 14 days of cleaning for domestic clients and 28 for commercial clients. Domestic Client payments made later than than 21 days after cleaning will be charged a £3 admin late payment fee this is to cover the cost of staff managing late payments. If you are going to be away when we clean please let us know before hand. Failure to pay invoices within the stated times above and that continue to be unpaid for more than 56 days will have cleaning suspended, if we then fail to receive monies owed within 72 days we have the right to contact a collection agency to recover the debt, you will be liable for all related charges, collection agency fees and court related fees. If you have a complaint against any member of our staff for any reason please contact head office on 01480 354 615 immediately and we will look into the matter accordingly. If our office is unmanned please leave your number, name, address and message on our answer system and we will call to discuss the problem as soon as possible. We will do are best to rectify the situation quickly for you. The terms & conditions set out within this site www.windowwashers.co.uk may change without notice, all terms and conditions of window washers services are legally binding, please insure you visit this page regularly for any amendments to the terms and conditions of service. Terms and conditions for web site design work, hosting and advertising within window washers site please go to the web site design link above and use the terms and conditions link at the bottom of the page.